one of the support team members did something to my form and now the link on my application is unavailable! Need help ASAP! Looking at your threads I see that the previous thread was opened 8 months ago, so feel free to point out to the thread where this happened so that we can look into what has actually happened. Having that said, the link that you have given is OK. It is the link to the submission page and not the form page so it is working properly - what it should do. Can you please call me?! we are obviously not getting anywhere through email. One of you team members seems to have diable our application in which we have linked to our website…. This is a BIG issue!!!! The last email between myself and your support team is included…. I followed that link you just sent me and it says its unavailable! Please tell me what is wrong….. Please do note that we do not have phone support, only support over email or forum (this). Now in regards to the issue, when I check your form: https://form.jotform.us/form/51605064339150/ I see it open up clearly. On this thread, you will be able to upload your screenshots of the issue. Any inline images or attachments sent over email are rejected by the system so we can not see any of them. You can see more about how to add the image on this thread by checking this thread: How to add screenshots/images to questions in support forum? As mentioned earlier your account is not disabled, nor your form and they both seem to be working properly, but we will help you find the reason why you are not experiencing the same once we have the screenshots to see what is happening. I am able to open up the form as well, but once you try to submit it says that the form is unavailable…. No submissions since the 10th... your tech made changes on the 11th; kind of ironic. We are in our biggest hiring season and MUST have this up and running! 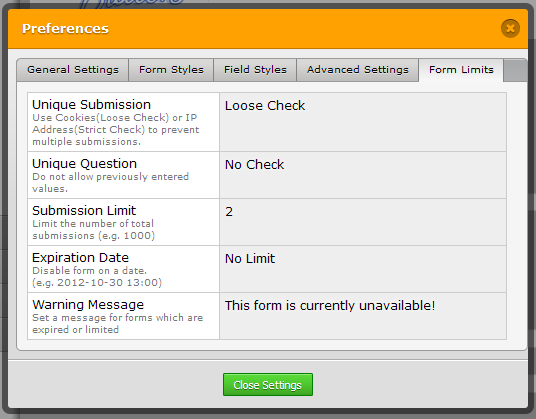 The reason why the form is "not working" is because your form limits are set to not allow more than 2 submissions. You should change this to a bigger number if you are going to accept submissions again. You are a life saver! I had changed that the day I was trying to figure out the print breaks because it would only let me test the form once. Is there a setting to that will allow multiple submissions from the same computer? I think this would be necessary in our case…. 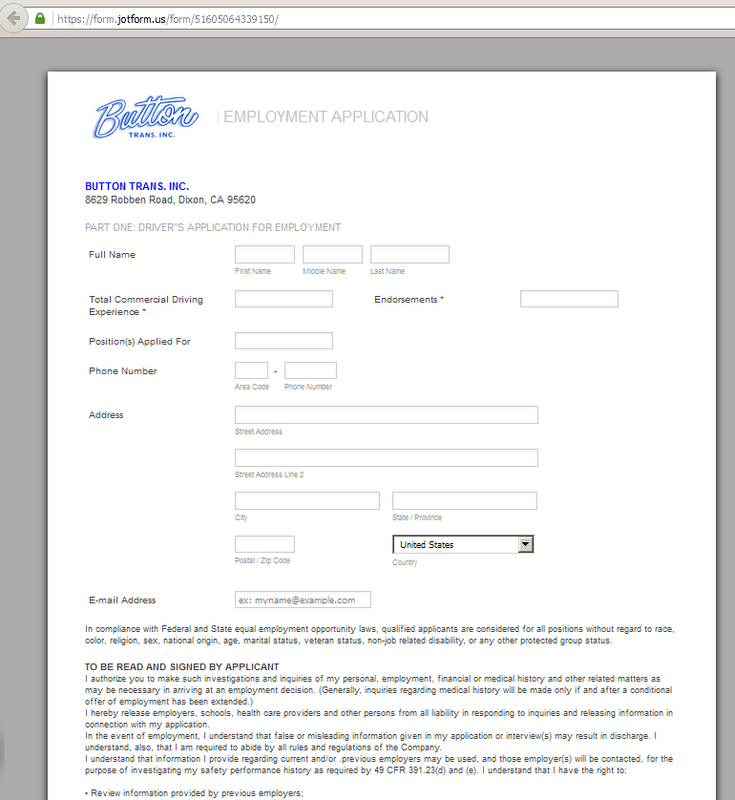 Sometimes drivers apply at a time we aren’t hiring and then resubmit when we are…..